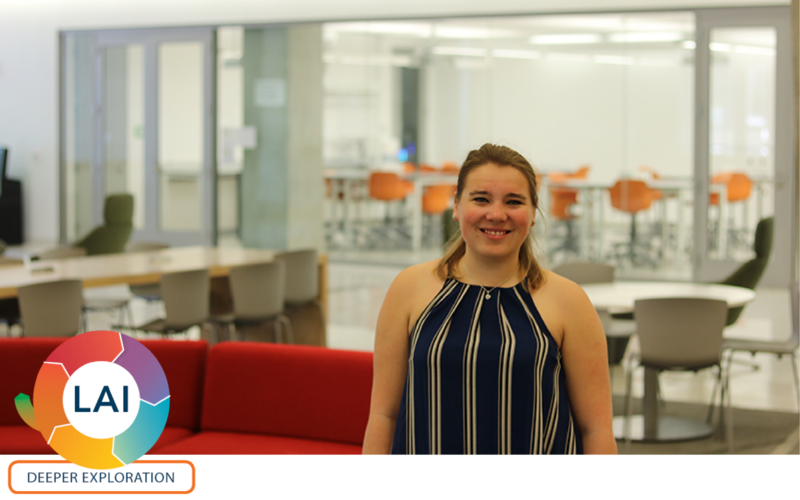 As a high school student, Kara Zielinski, BA ’18, applied to GW with her eye on one thing: biophysics—the unique intersection of biology, physics, and calculus. GW is one of the few institutions offering the discipline as a bachelor’s degree. Zielinski met with Dr. Paul Hoyt-O’Connor, director of the Center for Undergraduate Fellowships and Research (CUFR), and learned how to apply for the Luther Rice Fellowship, a grant that offers support for student research. “It’s very nice to develop a personal relationship and the “insider look” at what my application is going to look like," she said. Working with top researchers in Germany only opened more doors for Zielinski. She was accepted as a doctoral candidate at Cornell University, deferring for a year to return to the Germany XFEL lab, this time with the US Department of State’s Fulbright Program. The Fulbright Program was not on Zielinski’s radar when she applied for her first grant, but Hoyt-O’Connor could see several steps ahead. “They’ll just show you a pathway and be happy to support you on every step of that way," Zielinski said. CUFR remained invaluable as Zielinski applied to the Fulbright Program and to doctoral programs. “I’m pretty sure I emailed Paul every single day [that] summer while I was working on everything. I Skyped with him multiple times. I was working on three or four applications at the same time, and he was very helpful in making sure I was pacing myself on all of them.” These experiences provided Zielinski opportunities to clarify her career path. She knows she wants to continue using XFELs to study the structure of proteins. “I had [my first] internship in 2015; the instrument itself went online in 2009. To be at the beginning of [this research] was exciting, and it’s going to be exciting now for my whole career that I get to be [a] part of this."